When you choose Woodard Hearing Centers, you’ll experience something different. Our Doctors of Audiology and Hearing Instrument Specialists are truly ahead of the pack because of their education, research, experience and passion for hearing and hearing loss. Each Woodard team member understands hearing loss on a personal level and appreciates the impact it can have on your life. Let Woodard and their exceptional staff help you hear your best and get your life back. Why should you choose Woodard Hearing Centers? Your hearing is not something we take lightly and we believe a high level of expertise, experience and service is something you should expect when you visit one of Woodard Hearing Centers’ central-Iowa locations. We understand the impact hearing loss can have on your life and our Doctors of Audiology are here to help you along that journey back to hearing your best. Woodard Hearing Centers of Des Moines has several Doctors of Audiology and Hearing Aid Specialists on staff, all of whom are board licensed and active in industry associations. Our network across Iowa and in the Des Moines area ensures that you will always have a Woodard Hearing Center and hearing provider whenever you need one. Whether you are in need of a hearing aid adjustment, replacement or repair, Woodard Hearing Centers’ Hearing Professionals are always nearby to help you with any urgent hearing needs. Visit our locations page to find the Woodard Hearing Center nearest you. At Woodard Hearing Centers, we pride ourselves on a strong set of core values that connect all 15 of our locations. Our experienced hearing professionals use their personal experiences in conjunction with their university training to help you fully understand your hearing loss and begin your journey back into the conversation. Their patient expertise, experience and high level of service to you are what sets us apart. Your hearing is a process and Woodard Hearing Centers will stand with you through every step. 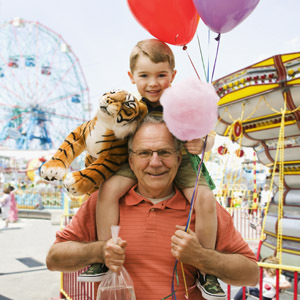 No matter how mild or significant your hearing loss, it interferes with your ability to appreciate the sounds of life. Our goal is to amplify your life by helping you improve communication through hearing technology and bringing back the sounds you’ve been missing. Helping you hear is not simply about fitting you with a basic hearing aid and sending you on your way. We diagnose your specific hearing loss and then fit you with the best technology for your condition and lifestyle. In addition, we continue to work with you along the way with FREE adjustments and testing as your hearing changes. We believe your hearing renewal is about regaining freedom in life. We want to work alongside you by putting you in the driver’s seat when it comes to your hearing healthcare and supporting you every step of the way. Each and every member of our staff has been personally affected by hearing loss in their lives. Whether it is through a family member, a friend or themselves, every member of our staff has a passion for helping those with hearing loss regain their confidence and their ability to communicate with those they love most. We all know how much hearing loss can negatively affect your life and we’ve found a way to put that passion and personal experience into our work. For almost 70 years, Woodard Hearing Centers has served the people of Iowa by building relationships, providing the best hearing care and helping patients experience life by hearing their best. Our providers are always available to help you when you need it and get to understand you and your needs throughout your entire journey. Our longevity has given us the experience needed to provide our patients with the best hearing healthcare in the industry. Because we are independently owned, we can offer a wider selection of hearing aid technology. Unlike our competition – no manufacturer, franchise agreement or lengthy contract dictates how we serve you. YOU are always our focus – and our promise is to make sure you have the industry’s best technology for your specific hearing loss and lifestyle. Our providers are the leading experts in hearing aid technology and are always exploring and the newest and best hearing solutions to better serve you. We want to give you control over your hearing. Our goal at Woodard Hearing Centers is that your hearing aids never end up in the drawer. We will continue to tweak and change your treatment to best fit your lifestyle and we will always be accessible whenever you need it. Because we understand your hearing is a process, we are always available for repairs and maintenance for the life of your hearing aid. If you have a hearing emergency and can’t leave your house, we will come to you because we are committed to making sure our patients always have the best care possible. With Woodard Hearing Centers, you will never struggle when you need help with your hearing.